Several rumors around Apple’s iPhone 7 have talked about the company dropping the standard 3.5mm audio jack for the favor of Lightning port. We saw another rumor yesterday, which detailed Apple’s plans to introduce new, wireless earpods. A new report has further confirmed these speculations, giving us more details of this expected release. Apple is also working on noise-cancelling headphones which will not be part of the box. Instead, iPhone 7 owners will have to buy these separately from Apple, suggesting that Apple is working on new Lightning connected earpods, possibly branded under Beats, that might be released along iPhone 7. Apple has apparently included the ability for headphone to connect over Lightning in iOS since 2014, making it a strong possibility for the next-gen iPhone finally ditching the standard jack. While the regular headphones bundled with iPhone 7 may or may not use the Lightning port, these new completely wireless and premium earpods will be sold separately and won’t be any cheap. Since there is a close expected resemblance to Bragi Dash, which sells for $299, Apple is expected to price its own alternative even higher. The report details that the headphones won’t have a port for charging. Apple will include a charging case that the owner will set the earpods into for charging them. Compared to Bragi’s 3-hour battery life, Apple is looking at a 4-hour usage for one full charge. The report ends with an interesting bit about the design of iPhone 7 itself. Apparently, Apple is working on three different designs for its upcoming flagship and hasn’t yet finalized any. One of these designs includes a completely new and thinner look (possibly the waterproof, antenna-concealing?) 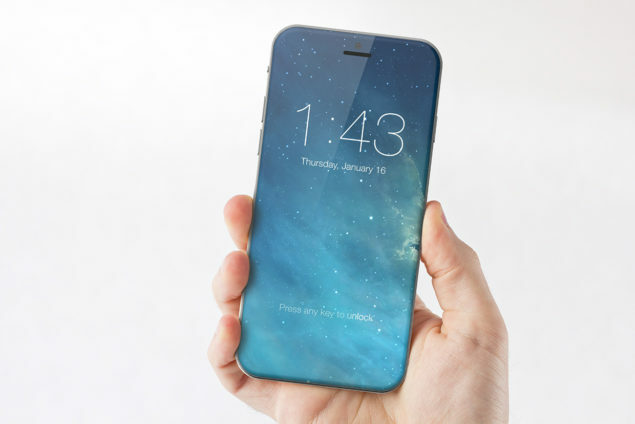 while another is a “backup design” looking “substantially” like the iPhone 6s. So far our readers haven’t liked the idea of Apple dropping the standard headphone jack. Let us know your thoughts about a newly designed and thinner iPhone 7 with the Lightning port supporting audio.